Warehouse inventory tracking – it’s a subject that everyone seems to have an opinion on. But few people can actually agree on the best methods to keep tabs on merchandise. Bottom line considerations. Let’s get right to the bottom line. Your business’s bottom line is important, whether you’re a forklift driver, safety supervisor, manager, or something else. If you have a good idea of what your product stock currently is, you can better plan for future transit, optimize dispatching, enjoy more accurate reordering, and much more. Let’s put it this way. If you don’t have a clue about your warehouse inventory, it’s hard to get a grip on your profit margins. Safety. Knowing what you have in stock isn’t just about dollars and cents. It makes sense from a safety standpoint, too. Let’s say you have heavy products that require special transport and shipping. With a robust inventory tracking system in place, you’ll know how much weight your forklift drivers are required to lift and move. You will also know where in your warehouse it’ll be located. The more data you know about your product, the better you’re able to avoid accidents and injuries on the job. A great inventory tracking program works wwll with a complete forklift safety platform. Less management headaches. Running a warehouse is stressful enough. If you don’t know what’s coming in and what’s going out, you’ll soon be in over your head with too much to keep track of. From surprise safety audits – OSHA is known to visit warehouses unexpectedly – to other day-to-day concerns, staying on top of everything besides inventory is already challenging. If you know what your current product and merchandise levels are, that’s one less thing to worry about! Today’s inventory tracking techniques provide on-the-fly intelligence on all sorts of cargo data. From the best place to temporarily store merchandise to the best time to get products ready for shipment, some forklift drivers are now required to track products on a real-time basis. Since a forklift operator inventory control specialist handles more responsibility than a typical driver, there’s a chance to earn more pay, and also advance into management! This type of forklift driving job uses scanners and other electronic devices to quickly account for incoming products, outgoing shipments and other warehouse-related activities. The creation of inventory control tasks with traditional forklift driving duties is just one of the great side benefits of warehouse data tracking. But just like other jobs, only the most qualified candidates will get the best jobs. With a willingness to learn and OSHA approved forklift training from us, you have the opportunity to put your career on the fast track to success! Keeping track of warehouse inventory is one thing, but staying on track with your safety plan is quite another. According to the OSHA, forklift incidents are one of the most common industrial accidents today. Yet many forklift accidents are avoidable. With the right training, everyone at your warehouse (or wherever you work with forklifts) will contribute to a safer, more productive, and more profitable environment! One of the things stressed in this article is how inventory tracking is so important to your warehouse’s profit. Considering that OSHA fines and penalties for safety violations can reach thousands of dollars, not to mention all the negative publicity associated with an audit or investigation, having a well-trained workforce is, in a roundabout way, a great method for keeping your business profitable. Train a Trainer – to become a certified forklift safety expert, our training course covers all types of important OSHA safety concepts, regulations, and much more! Training Kit – this popular program offers a well-rounded approach to total forklift safety. Bundle Package – combine the previous two training courses into a value-added, all in one, OSHA compliant training experience at ForkliftCertification.com! This is one of our most popular training classes. 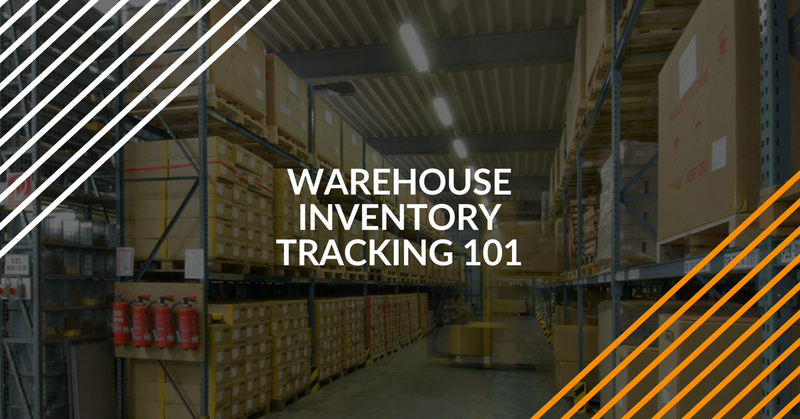 Inventory tracking is important for your warehouse. But remember, nothing is more critical than safety. Let us handle your safety training, so you can concentrate on other aspects of smart warehouse management. Get started today, and see why we are the forklift training partner of choice for companies across the United States. For any questions about our OSHA forklift safety courses, give us a call today at (888) 278-8896. Best of luck with your inventory tracking!